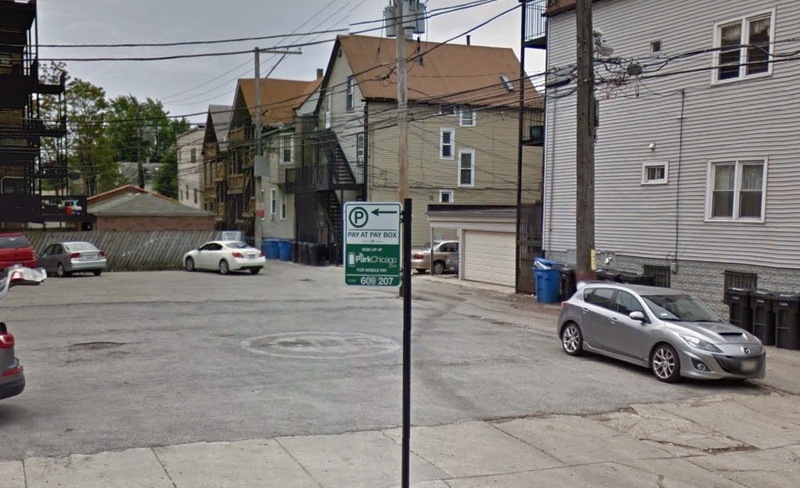 Awakened by screams for help, a neighborhood man rushed to his back porch overlooking the alley of Sheffield between Roscoe and School around 2:30AM on Saturday. There, he saw an "extremely violent and brutal” 2-on-1 attack unfolding. “I screamed, ‘get off him, get off him’ [but] they didn’t react to me at all. [Then] I screamed ‘cops, cops, cops’ and both of them looked up at me." Then, fully aware that they were being watched, one of the attackers pulled out a Taser and zapped the victim in his chest as he lay in the alley, bleeding from his face. Incredibly, the victim, described as a white “kid” about 5’8” tall and 160 pounds, was not robbed. The victim was transported to Illinois Masonic Medical Center with facial injuries. According to the witness, the attackers were in their late 20’s. Both stood 6-feet to 6-feet-2-inches and weighed 225 pounds. “They were very large men wearing black t-shirts and jeans. Early the next morning, other witnesses reported seeing three black men chasing after another white man a few blocks away at Sheffield and Fletcher. Those neighbors told police that the victim kept falling down as the men chased him and tried to take his wallet and phone. The men and the victim were last seen running southbound on Sheffield around 1:05AM Sunday. Police never made contact with the victim or the alleged offenders. No report was immediately filed.